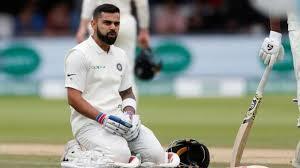 Virat Kohli, the Indian cricket team captain is under the spotlight at present because of India’s 1-4 defeat in England. He has gained a lot of glory in England as a batsman but failed in his captaincy. Former Indian cricket team captain, Sunil Gavaskar in his interview with India Today said that India’s defeat in England was not at all surprising for him and others as the team was not very well prepared for the red ball cricket. India’s repeated failure in South Africa and now in England made everyone judge Virat Kohli’s captaincy. Sunil Gavaskar said that all the ones related to sport and who have been around for some time know very well that preparation plays an important role in international sport and is the most important aspect to win. Gavaskar said that as the Indian cricket team failed to prepare themselves well then they must be prepared to fail. Sunil Gavaskar said that he hopes that Indian team, especially Kohli learns from his past mistakes and enhance them before their match with Australia. When it comes to tactical issues, Kohli has a lot more to learn according to Sunil Gavaskar. Kohli is still being pricked because of the wrong personnel, choosing a wrong core team of 11 members and making doubtful as well as questionable fielding and bowling changes. Kohli has officially been a captain for two years but earlier at the time of MS Dhoni, he was a test captain. So basically, Virat Kohli took over Test captain since last 4 years from MS Dhoni. Sunil Gavaskar said that the matches in England and South Africa majorly showed Virat Kohli’s lack of experience. According to him, there were way too many instances where timely changes in bowling and right field placements could make a lot of difference in the match. He said that Virat needs to learn how to break a good partnership work. Virat Kohli has too many experiences of the Indian pitches and how and where the wickets fall quickly. Gavaskar said that India’s defeat by 4-1 was significantly a massive win for England and gives a very clear view that all the key moments for winning was taken away by England. Sunil Gavaskar said that the management should stop tinkering with the core team of 11 members. They need to be brutally honest which the need of the hour is. They should accept their mistakes and work on the areas they lack into. It is the time to fill up the places where they are left behind and overcome and look up to their faults as soon as possible which is very, very hard. It is the time where the Indian cricket team not only need to fill up the places where they lack but also prepare themselves well for the next year’s World Cup. All the aspects should be taken care of like the opposition team we are playing against and even the pitch and then we need to think about the opening pair, the all-rounder and the middle-order batsman.